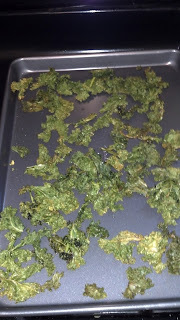 Beth Ann & Jessica's Helpful Savings: Kale Chips: Easy and diet-friendly! 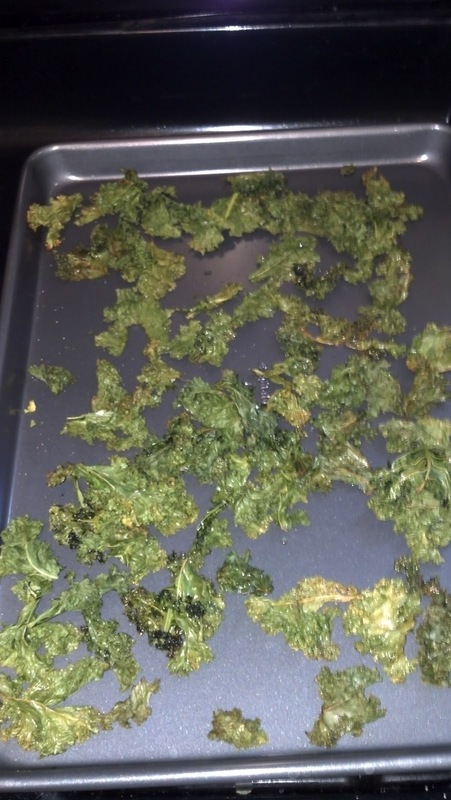 I love kale chips! They're too easy to make and they're healthy for snacking. 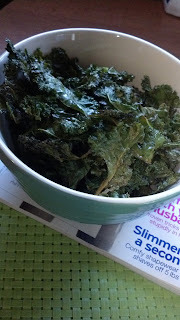 Kale is $1.18 a bunch at Walmart locally. The first bunch I got was huge! I made the batch with a bit of olive oil and salt and ended up eating the whole thing (minus 1-2 pieces that my husband ate) throughout the evening. The next time I made them, I put BBQ rub on them and they were pretty good too. 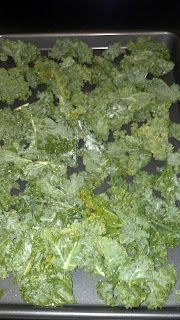 I separate the kale leaf from the thick stem and tear them into 2-3 inch pieces. 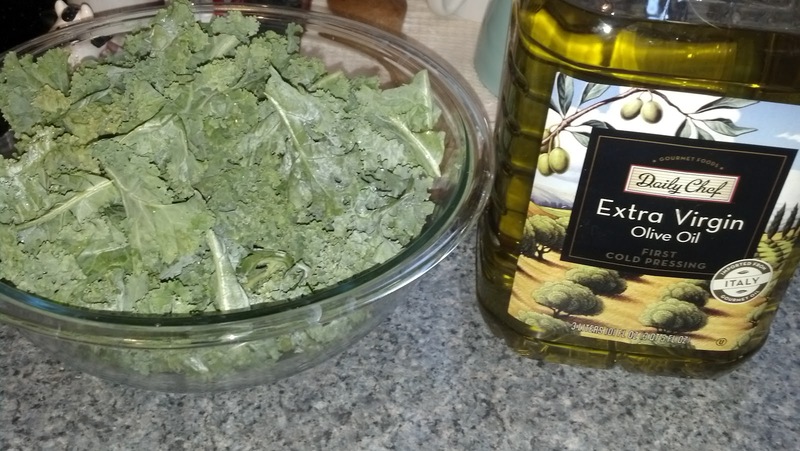 Then, halve the kale and make sure it's nice and dry, put a 1/2 teaspoon of olive oil in a bowl and toss the half of the kale bunch in it. 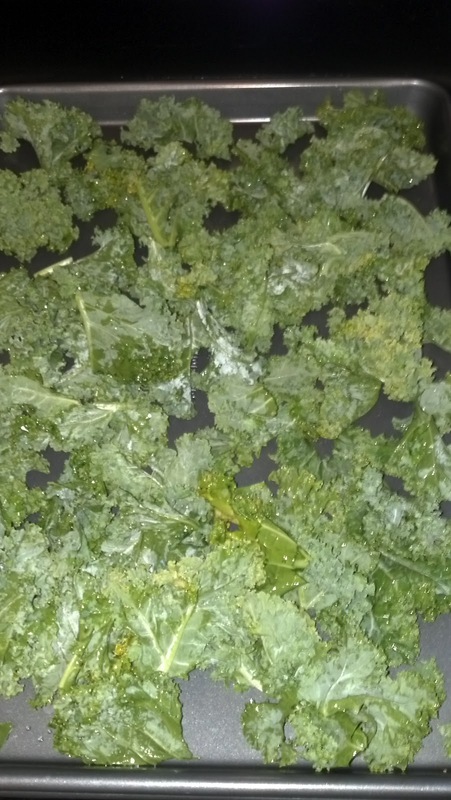 Lay the kale on your baking sheet and salt lightly. Bake at 350 for 15-18 minutes, or until crispy. Watch it though, it will burn! You may have a couple of spots of too much oil, so you can put those pieces on some paper towels to drain and eat them later.